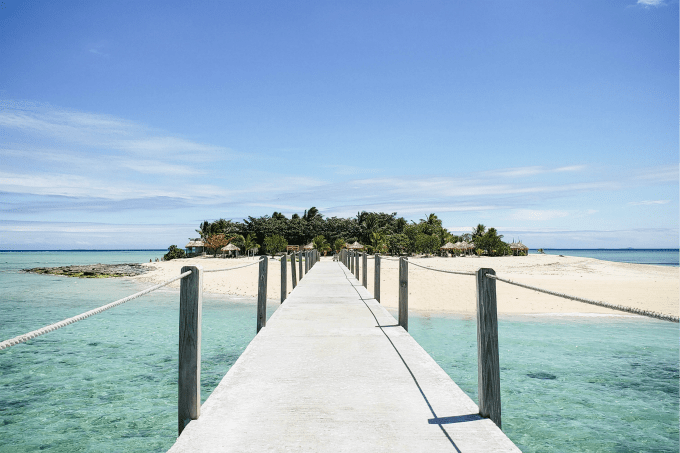 Planning a vacation to the Fiji Islands? 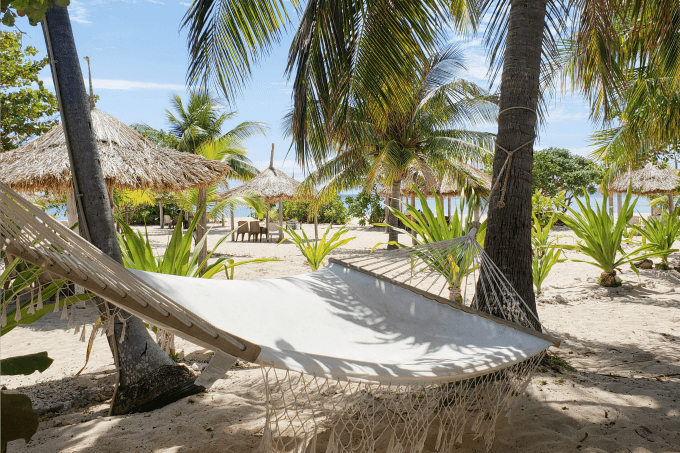 While relaxing on the beach is one of the best things to do in Fiji, it’s not the only thing. 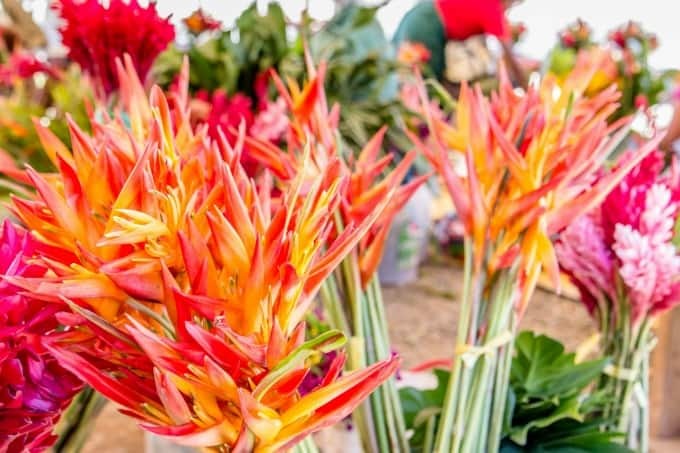 Whether you’re taking an excursion to an amazing island or visiting a local village, there are plenty of ways to entertain yourself on your Fiji vacation. My bucket list is very long. In fact, it’s so long that my husband says I should just tell him where I DON’T want to go, instead of where I do. 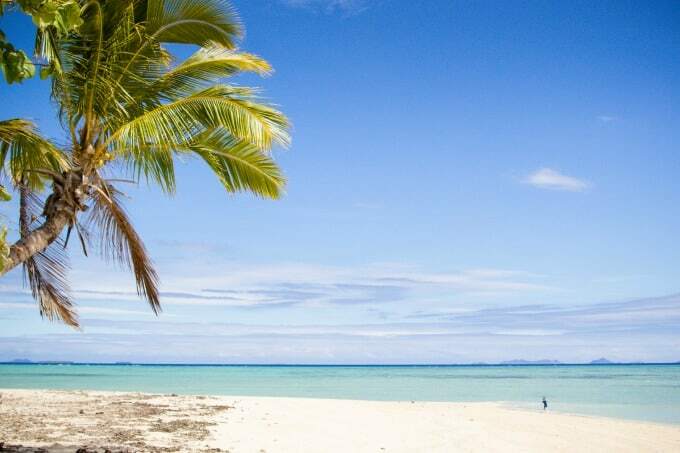 One of the places that’s always been at the top of my list is Fiji. Luckily my hubby’s bucket list is very similar to mine and a Fiji vacation was at the top of his list too! We finally decided to go for it and booked a family vacation to Fiji. We were only there for a week but still managed to squeeze a lot in! Some excursion were amazing and a couple were just so-so but overall we were pretty happy with our choices. If you’re planning a trip and trying to decide what to do while you’re there, check out some of our favorites. 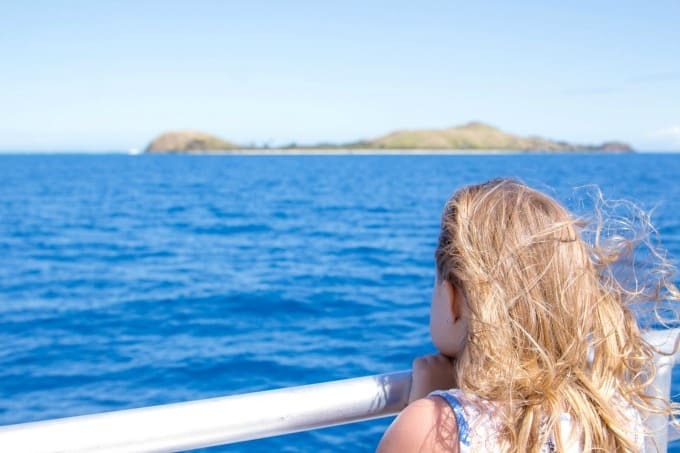 Of the tours we took in Fiji, the Captain Cook cruise to Tivua Island was by far our favorite. They offer a ton of different tours but we took the day trip to Tivua Island. As soon as I saw the Instagram worthy bridge leading us to shore, I knew it was going to be an amazing day. 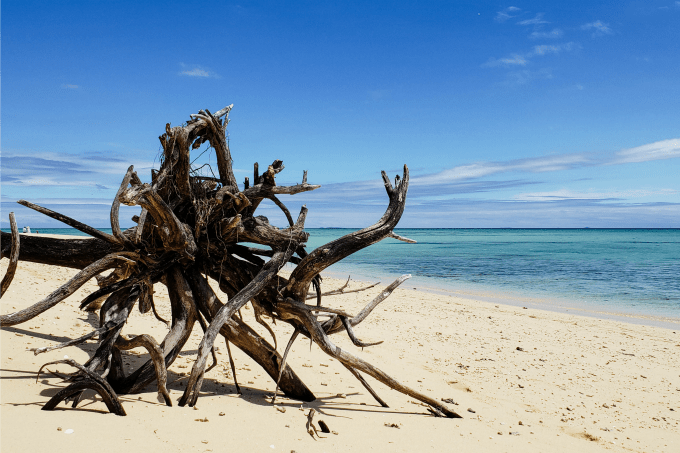 This is exactly what comes to mind when you think of Fiji beaches and we were in paradise! There were plenty of covered bungalow type areas along the water so we found a spot, dropped off our gear and went exploring. My husband and my six year old had to arm wrestle over this hammock. My daughter won! The excursion includes lunch (which was the best lunch of the excursions we took) and beer and wine. I loved the Fiji Gold beer but my hubby’s favorite was the Fiji Bitter. My girls were just happy that they could have all the soda they wanted, their favorite vacation tradition. This excursion includes snorkling and a ride in a glass bottom boat. My six year old had a hard time with her life jacket (all the ones her size were taken) so we didn’t last long in the water. However, Jon and Ashling saw squid, sharks (the non human eating kind) and plenty of colorful fish. We skipped the glass bottom boat because the island was so gorgeous that we just wanted to hang out. Even the driftwood was picture perfect! This excursion isn’t cheap but if you can only do one thing on your Fiji vacation, this should be it! My only complaint is that we had to leave at all! 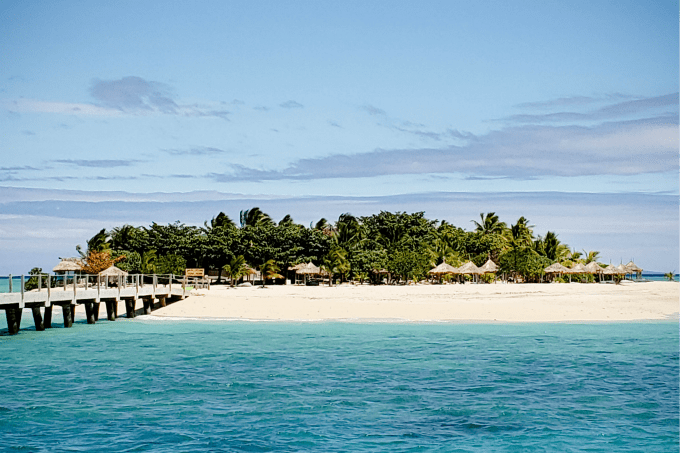 Our Castaway Island Fiji excursion was another one that we loved. It was a completely different experience from Tivua Island. 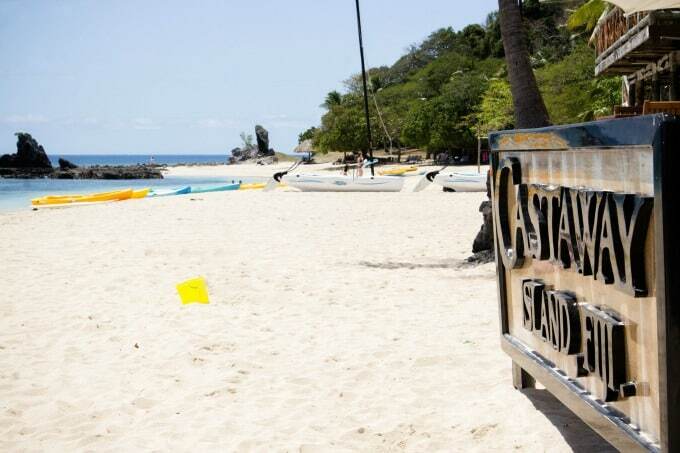 While Tivua is a day trip island with no resorts, Castaway Island is a beautiful resort island with restaurants, bars, a pool and more. 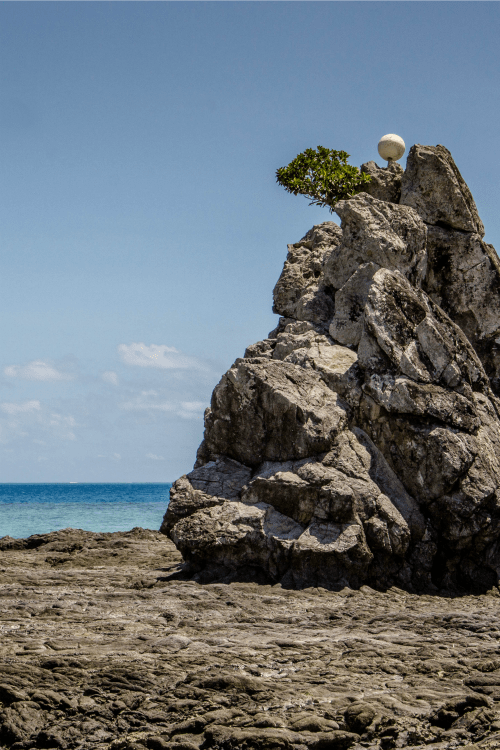 This wasn’t the actual filming location of Castaway but you’ll find plenty of references to the movie. (Fun fact: my brother-in-law worked on the movie as the associate editor). If you look closely, you’ll discover replica of Wilson on top of the rocks. Lunch was included and served at a nice restaurant overlooking the water. Though we were on a tropical island halfway around the world, Keira still just wanted a bowl of spaghetti…kids! The girls played on the beach while we waited for our food and we had some nice grown up time and enjoyed the view! There’s also a kids club if you want to pay a little extra. There’s plenty to do on Castaway Island. 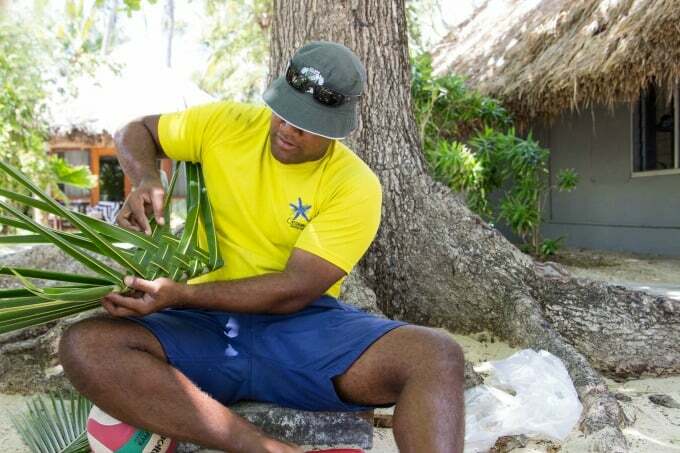 They have snorkeling, kayaking and you can even brush up on your basket weaving skills. I learned that make baskets from palm trees fronds is a LOT harder than it looks! Drinks weren’t included but of course, that didn’t stop us. 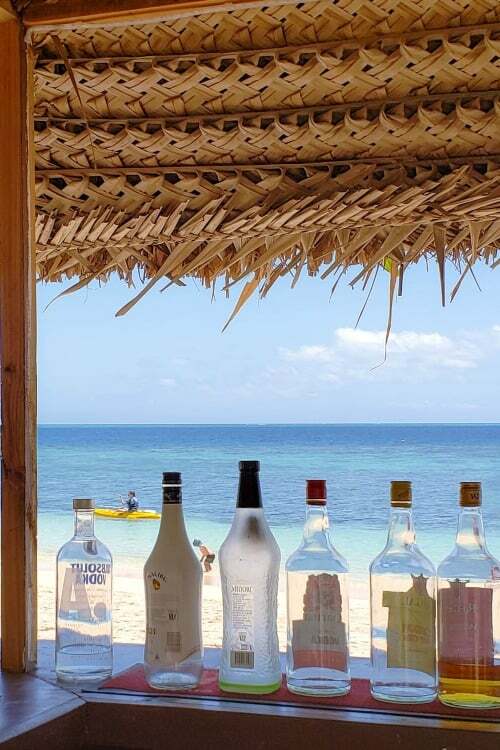 This was a vacation and we’ve never been able to pass up a good beach bar. This excursion was the furthest from Denarau and there were quite a few stops along the way. It took over an hour to get there but we really didn’t mind. Hanging out on the front deck and enjoying the scenery along the way was half the fun. If you’re taking an excursion, you’ll most likely leave from the Denarau port. While you’re there, take some time and explore. We enjoyed wandering through the store and it was a great place for the girls to find cheap souvenirs for their friends…and themselves. 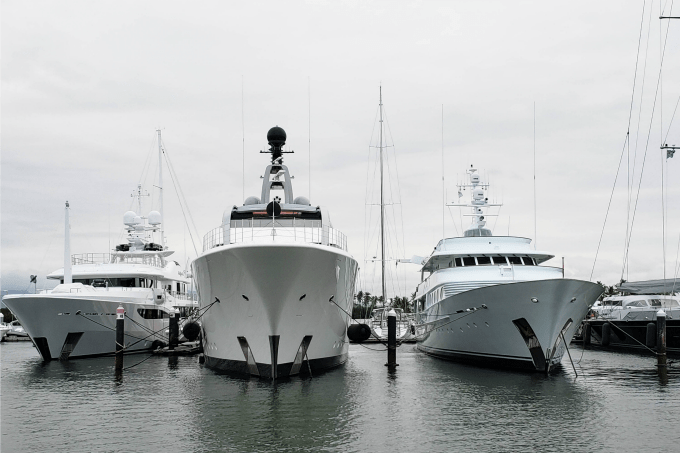 There are also plenty of places to eat and drink and as you dine on the water, you can pick out which yacht you’ll buy when you win the lottery (at least that’s what we did). I’m not picky, any of these will do! 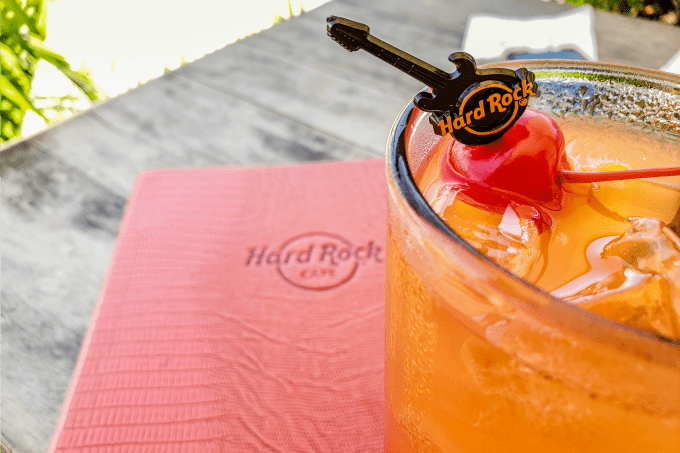 We couldn’t hit the port without checking out the Hard Rock Cafe. Years ago, I’d made it a mission to go to the Hard Rock any time in was in a new city. I collected a shot glass from each one, though I’d be hard pressed to find them now. Funny how your tequila consumption goes down (or in my case, becomes non-existent) once you have kids. I’m always up for a tropical cocktail though! After drinks and snacks overlooking the water, we went inside to check out the souvenir shop, then made our way upstairs to check out the memorabilia. 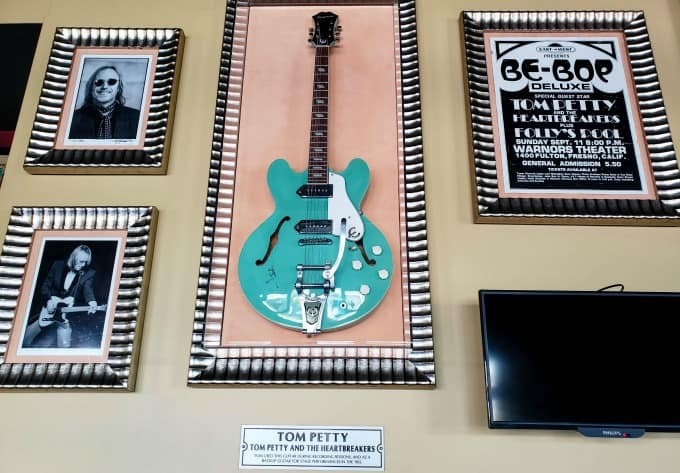 They had everything from a signed Elvis Presley contract to Tom Petty’s guitar. I really get into this stuff and was impressed by how much cool stuff they had. There was also a stage so it you’re there at the right time, you might even catch a live show. 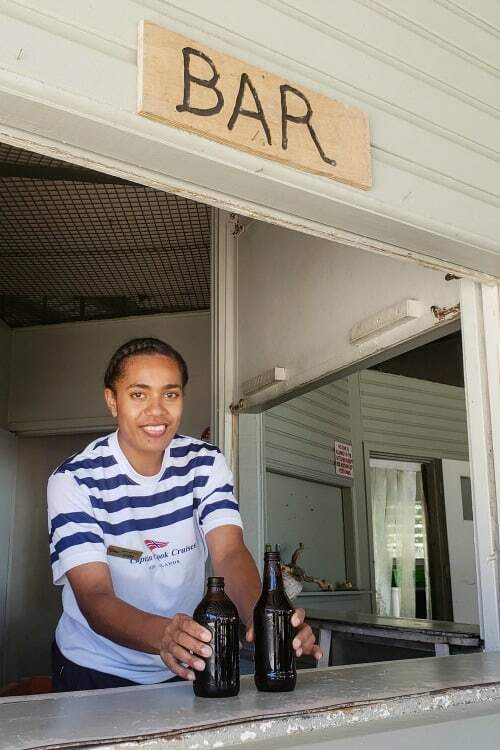 We wanted to see the local sights so we went on a half day excursion that took us around Nadi. The Garden Of The Sleeping Giants was one of the stops. It’s named for the mountains that tower over the gardens and if you look at them just right, they do actually look like sleeping giants. 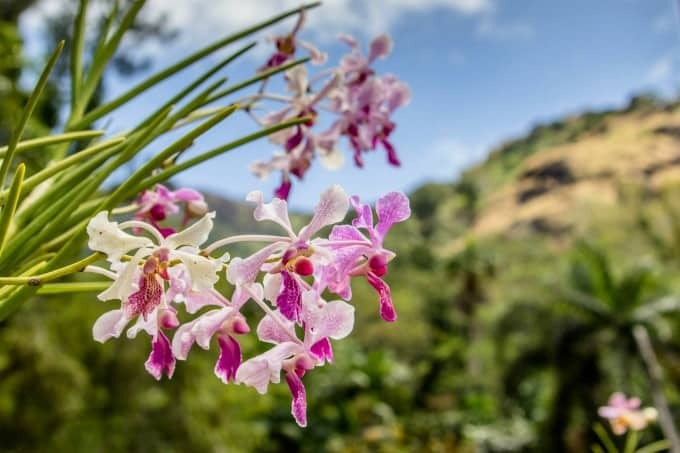 The gardens are beautiful and filled with Fiji’s native plants and flowers. 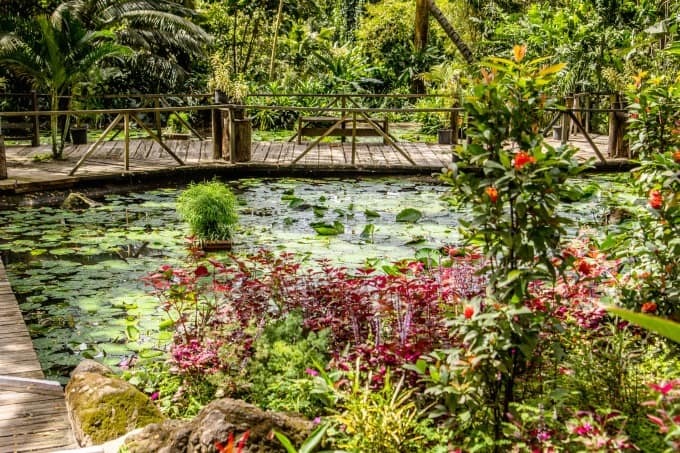 The lily filled pond made me feel like I’d stepped into a Monet painting! I was worried the girls might get bored but they enjoyed the gardens as much as we did. It was a nice little getaway and much more budget friendly than the island excursions. If you feel like doing something off the beaten track, this is a fun way to go. …and others that we didn’t. I’m still not quite sure what this is (if you know, feel free to tell me in the comments). My favorite was the area filled with beautiful tropical flowers. We never figured out the story behind this sign but maybe it’s best that we don’t know. It made us laugh though! Since it was important to us that our girls learn about Fiji culture, the best way to do this was with a tour of a local village. Though it almost looked like a historic village from years past, this was a living, breathing village where locals lived and raised their families. I found it fascinating that the village is still run by a chief. This was his “office”. The houses are simple but the villagers don’t seem to care. They don’t need a big house or fancy car to enjoy life. Maybe we could learn a little something from them. Most villages have their own schools and churches and are self sustaining. The village looked relatively small but we were surprised to learn that it had a population of over 900. You can’t just go house hunting and move in though…you have to be born or married into it. If you’re looking for something fun to do at night, you can take in a cultural show or dinner. The Westin Denarau, where we stayed, had a free fire show every night. The girls were in awe of the performers and my husband and I may have just found some new dance moves! The hotel offered a more elaborate dinner show (for an extra fee) but we never had time to check it out. 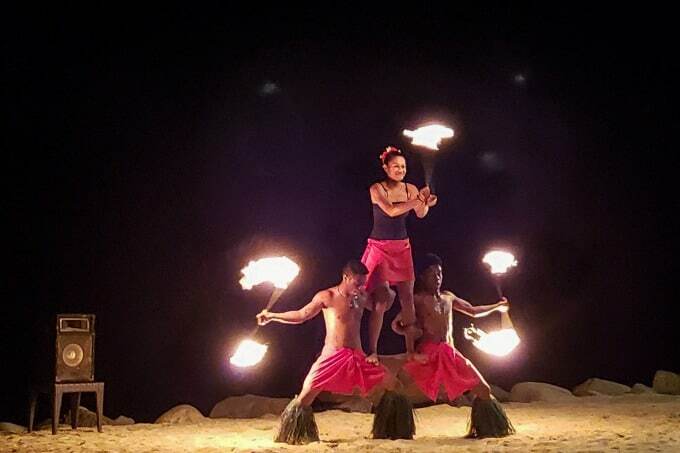 Port Denarau also has a fire show and there are also several other hotels that offer shows of their own. While our excursions included snorkeling, you don’t have to pay a lot of money to see beautiful tropical fish. 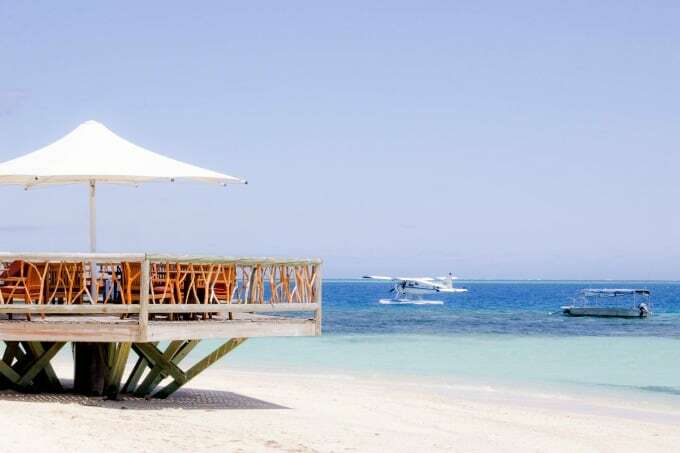 At many of the resorts, you can snorkel right from the beach. We actually found it a lot easier for the girls to snorkel off the beach than jumping off a boat into deep water. While they are great swimmers, my youngest preferred wading out into the water at her own pace. 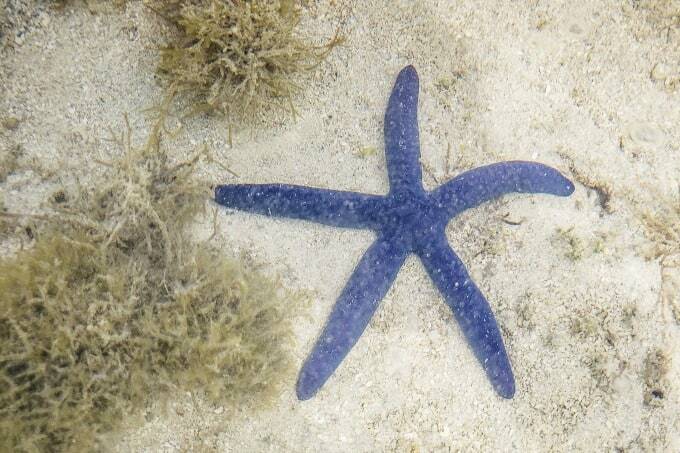 We saw beautiful blue, yellow and even purple fish, giant starfish and more. This is a must-do activity, whether you do it as part of an excursion or off the beach of your hotel. 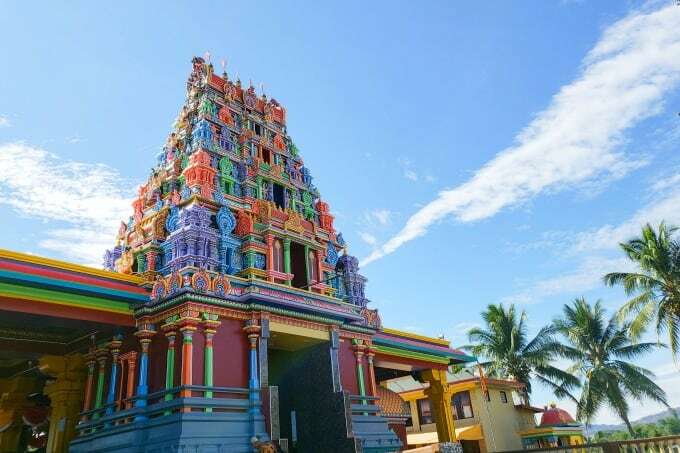 If you get the chance, visit the colorful Sri Siva Subramaniya Temple in Nadi, the largest temple of it’s kind in the Southern Hemisphere. 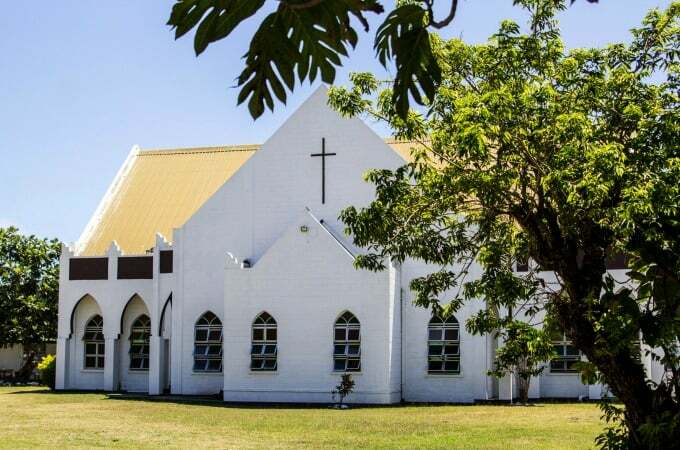 While the majority of people in Fiji are Christian, there’s also a large Hindi population and this is where they go to worship. The outside temple is painted in bright colors and is repainted by hand every seven years. 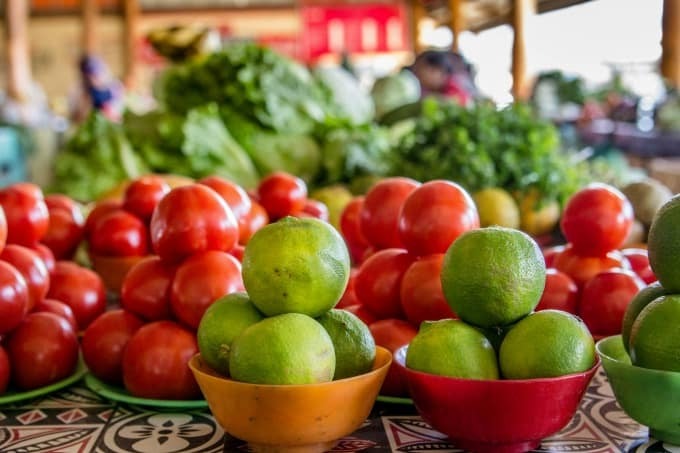 This visit was included as part of a half day tour that included the market, local village and the Garden Of The Sleeping Giant. I wouldn’t make a special trip just for the temple but we did enjoy it as part of the tour. 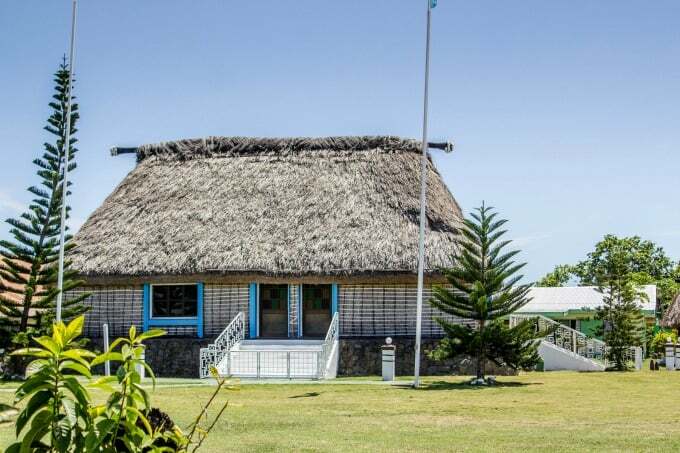 Excitor Fiji Malamala Beach Club – The Malamala Beach Club came highly recommended by a group of Australian tourists we met on Tivua. You’ll ride the Excitor, the fastest boat of it’s size in the South Pacific, to Malamala’s upscale beach club. 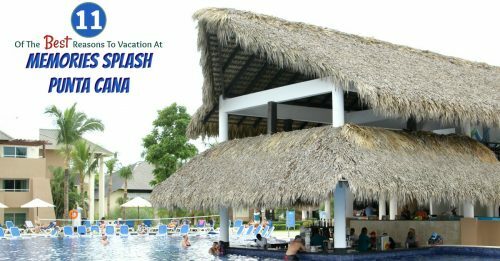 While you’re there, you can hang out in the resort style infinity pool, restaurants, beach cabanas, snorkeling and more. Ziplining – You’re not going to want to take a ziplining tour if you’re afraid of heights but this would be an awesome experience for adventure seekers. Big Bula Water Park – This was right down the road from our hotel and my youngest was begging to check it out. 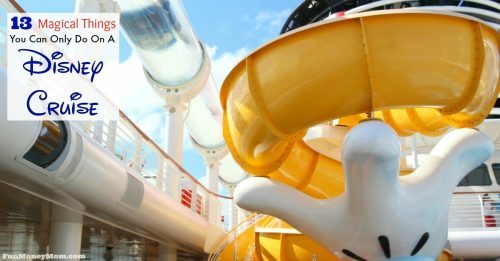 Hmm…island excursion or water park? We never made it to the water park. Tavoro Waterfalls – I can only imagine how beautiful a Fiji waterfall would be! It’s another excursion I wish we’d had time to do. 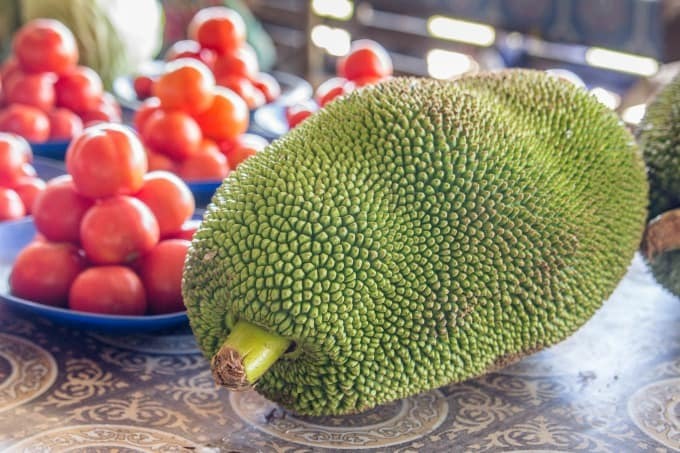 Cooking Tour – This looks like the perfect experience for foodies. NOTE: We found that booking excursions once you’re there is MUCH more expensive than booking them ahead of time. A tour that was $150 per adult on Trip Advisor cost us $250 per adult at the hotel. Planning ahead pays off! 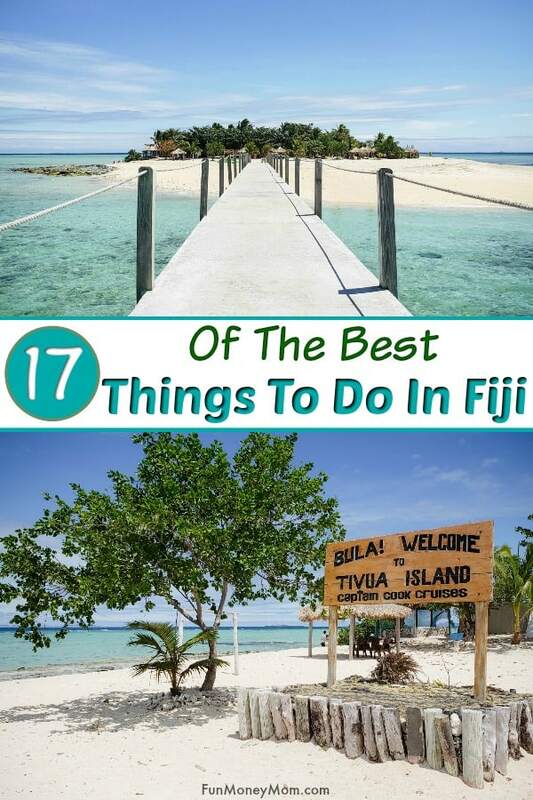 These are just a few of the things you can do on your Fiji vacation. 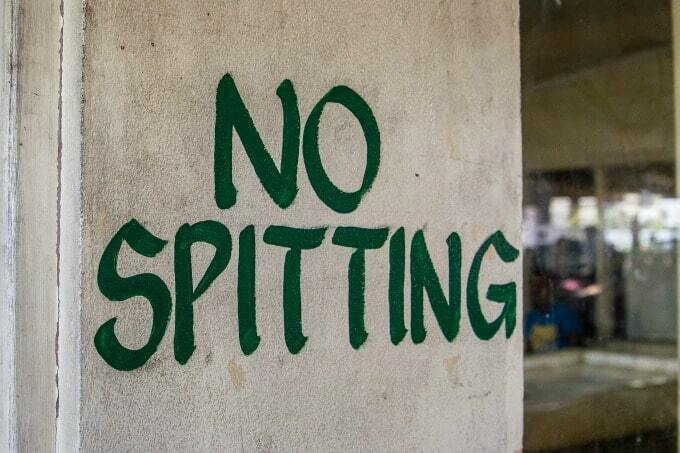 My favorite thing to do in Fiji? You just can’t beat relaxing on the beach with a drink in your hand, watching the kids splash around in the crystal clear water!